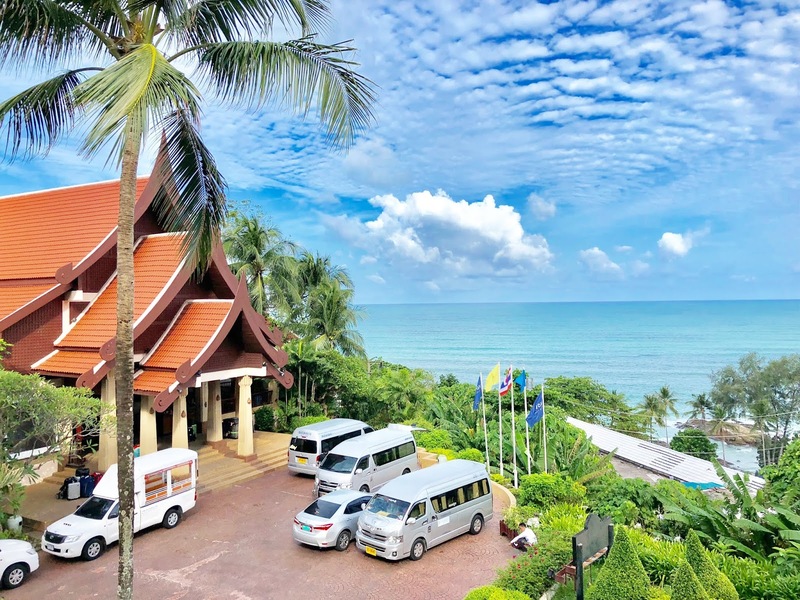 If you’re looking for an affordable and close to the beach resort – Novotel Phuket Resort is your answer! 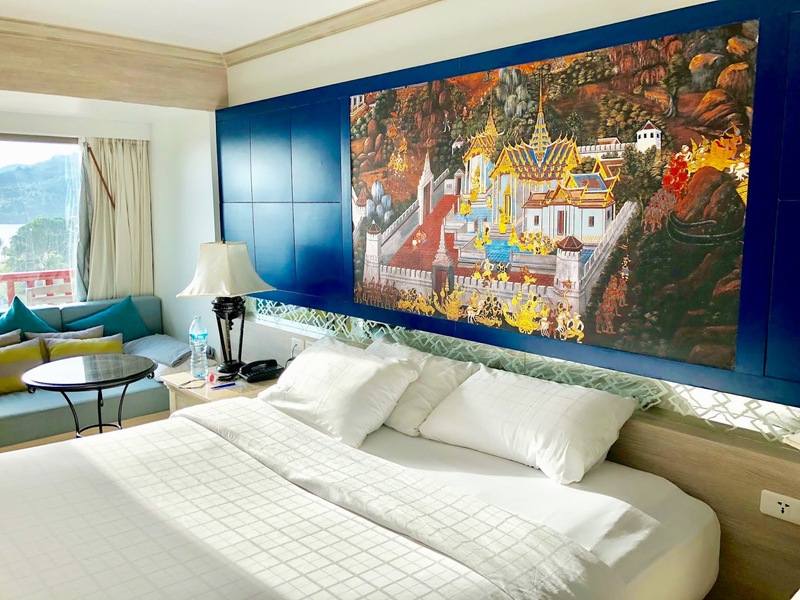 Overlooking the gorgeous Patong Bay, this resort features traditional Thai style and charm, offering guests 3 restaurant varieties, 2 bars, 3 outdoor pools, spa amenities and a gym. When searching for hotels in Phuket, Novotel popped up on the list. I have never stayed in a Novotel but was familiar with the hotel chain. Novotel Hotels are scattered worldwide; offering as close to 400 hotels and resorts in 60 countries. Phuket was our last destination of our 2 week excursion; though it was sad to say good-bye to the wonderful island of Bali, it was quite exciting to see what this next city had to offer. We got in pretty late Wednesday evening; traveling all day essentially is not something I enjoy doing – at this point in time, was getting pretty used to it. Luckily on one side, I had a spa treatment scheduled that same night and was just looking forward to it! When we arrived, the General Manager Wutti greeted us right away and helped us get checked in. He was very nice and welcomed us with some Thai drinks. The check in process was a breeze; and while we were about to head to our spa treatments, they helped us get our luggage safely in our rooms. Novotel Phuket accommodated us with two connecting rooms; superior ocean view room. This standard room offered one king sized bed, with amenities including TV, desk, and fridge. 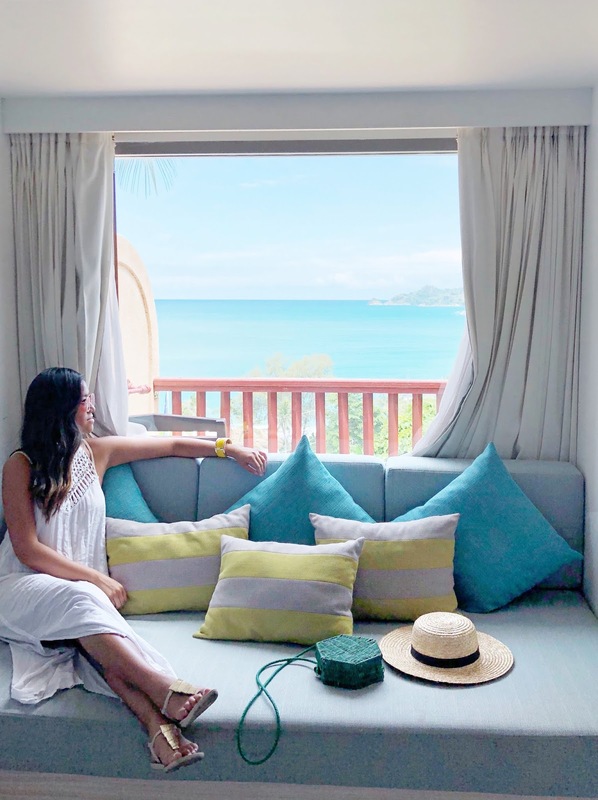 Both rooms were also equipped with balconies that overlooked the beautiful Patong Beach – which was my absolute favorite part. This resort offered an array of restaurant options as well as in-room dining services. This is where we enjoyed scrumptious breakfasts and mouth-watering dinners daily. 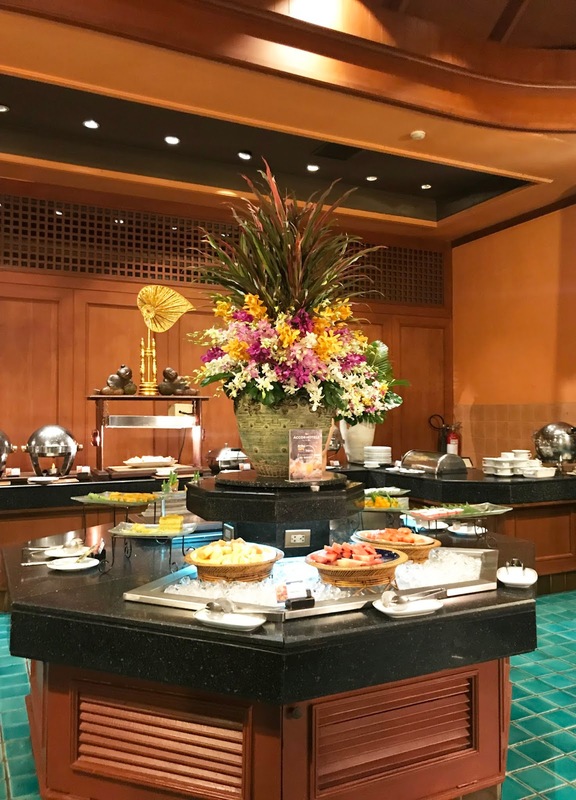 The Coffee House features a nightly themed buffet restaurant with a selection of Thai, French, and Italian cuisine. It was all so delicious; the all-you-can eat theme makes it all too hard to not pig out on your favorite dishes. The restaurant is open from 6:30 am to 11:00 pm daily. If you are looking for a luxurious dining experience, The Ruen Thong is your spot. Offering guests with authentic Thai cuisine – you can’t go wrong. This stunning bar is located at the lobby with views overlooking Novotel’s three tiered pool. Here you can find crafty and tasty cocktails all day and night. Right in the lobby area, you will find an exclusive lounge called V-Lounge – opened right at 9 am to 11 pm. This was a nice area to grab some cocktails and hang out with friends prior to dinner. 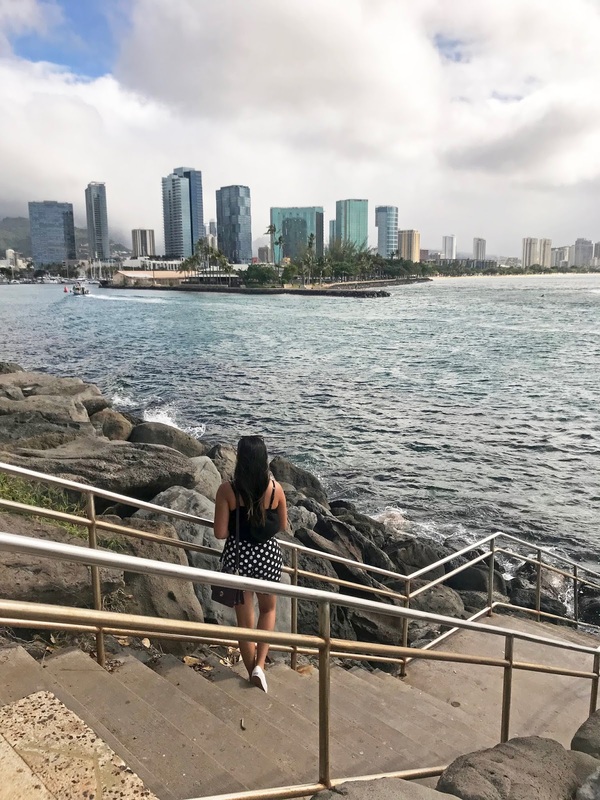 One of the nights we were there, there was a tsunami warning – with strong, scary winds and nonstop pouring rain; we had a chance to stay in and enjoy their happy hour. 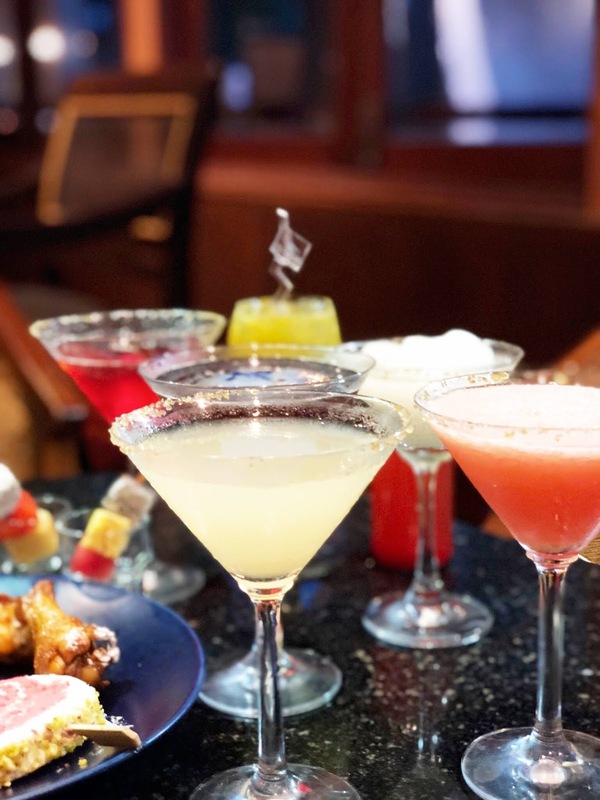 In fact, that night, the wonderful Novotel staff invited us to a special cocktail event – where we had the opportunity to taste a variety of cocktails and treats. 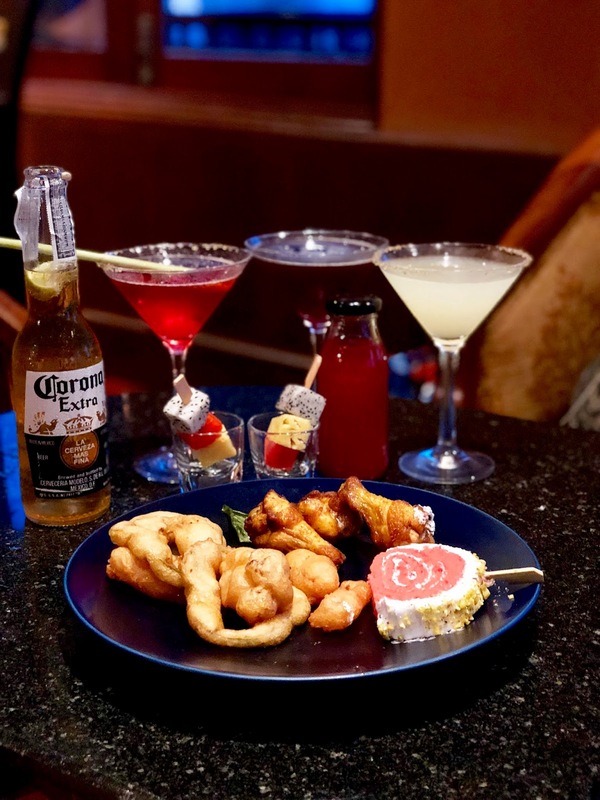 You can enjoy a drink or two and even a bite to eat outside by the pool area. Though, during my time at Novotel, I unfortunately did not get a chance to check it out (due to crazy rain and lack of time); the pool drinks by the pool sounded promising. One of the cool things about this hotel is instead of one; you get 3 different pool areas. Novotel Phuket offers guests with a stunning three-tiered pool, each pool catered towards families with children and adults. The last tiered pool offers guests with fun amenities such as a basketball shoot and vball nets. Another great feature of Novotel is they offer guests with a full range of spa treatments such as massages, facials, manis/pedis, and body scrubs. During my stay I was lucky enough to experience it! I was treated to a 30 minute body scrub and a 1 hour deep tissue oil massage. My lady was amazing; and honestly out of all the massages I had during my trip, this was definitely my favorite and I felt incredible right after. Novotel Phuket also offers guests with a list of exercise classes in their fully equipped Health Club. A personal trainer is available upon request. 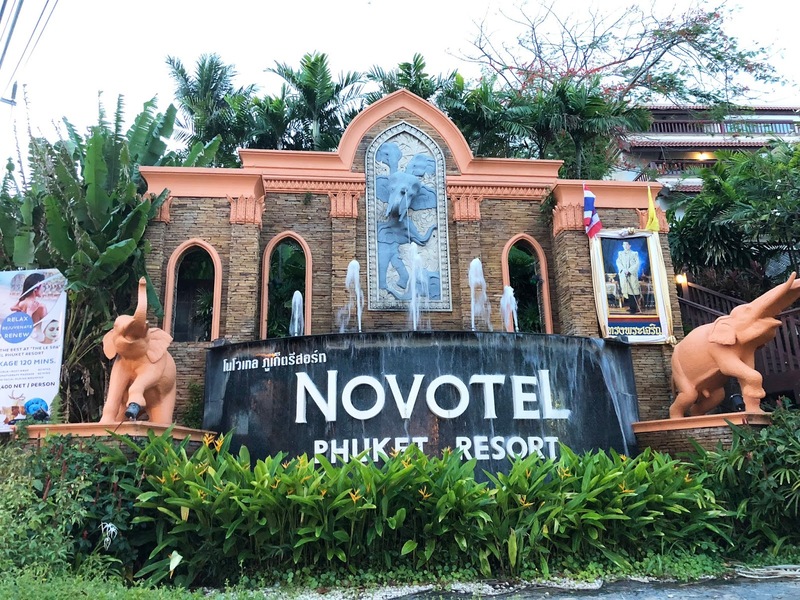 Novotel Phuket is about 30 minutes away from the main town area where you can find shopping, bars and restaurants. 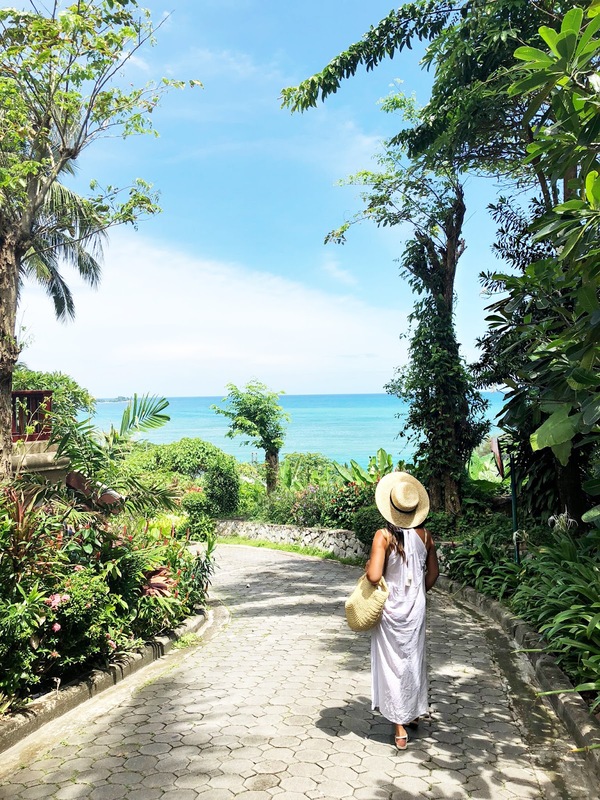 Stay tuned for my next post on 5 Things You Must Do While in Phuket, Thailand. From the friendly and welcoming staff to the beautiful ocean views; Novotel Phuket is a recommended hotel to stay while in Phuket, Thailand. 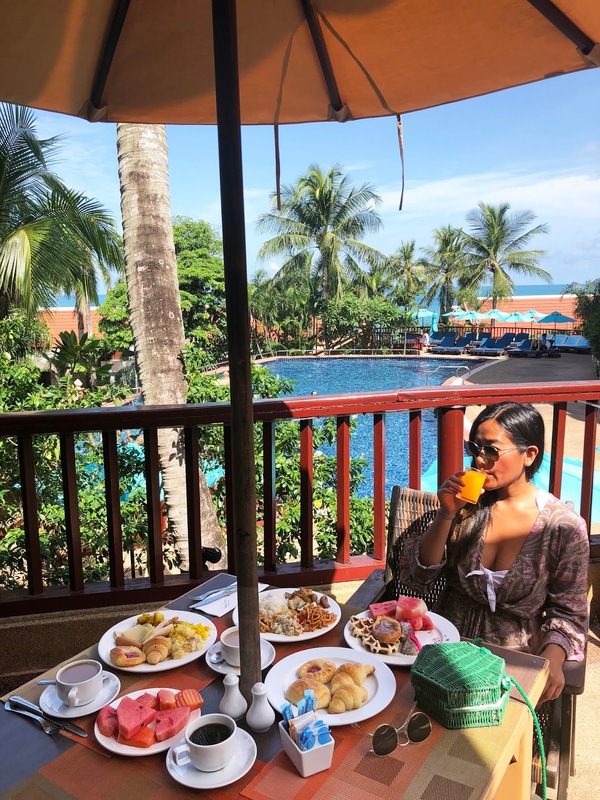 Thank you to the amazing staff at Novotel Phuket for hosting my stay – as always, all opinions are my own.